Taking deposits now for our Spring 2019 Kidding Season. Several kids already sold so act fast to reserve yours! ​See our Breeding Plan and Sales Policy and Contact pages for details. Maremma puppies are here! Genevieve had 9 puppies on 3/30/19! Available at 12 weeks to working homes only. Seven pups already sold. Welcome to Prancing Pony Farm! We are a small family farm located in Lemoore, California, in the Central Valley, between Fresno and Bakersfield. 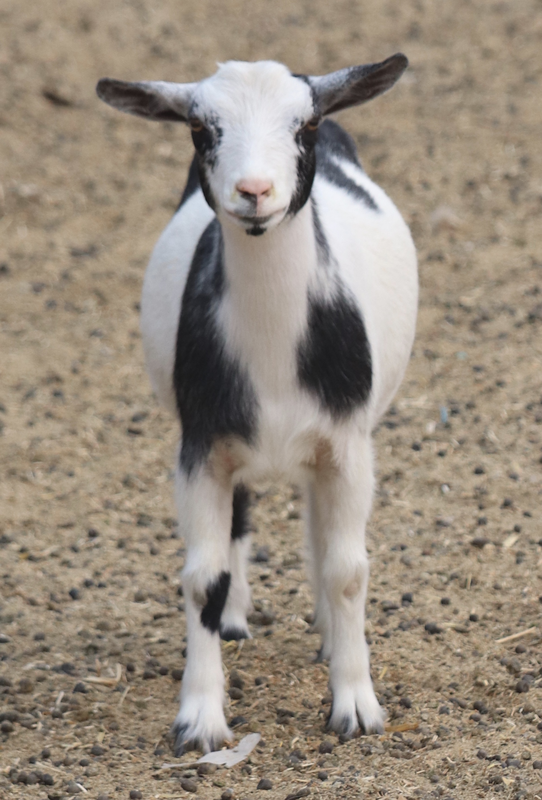 We specialize in breeding ADGA/AGS Nigerian Dwarf and MDGA/TMGR Mini Nubian Dairy goats. We also breed Maremma Sheepdogs, which are a outstanding livestock guardian dog breed originating in Italy and well suited to protecting all types of livestock from any form of predator on both large operations and small family farms. It's our goal to make our website a useful resource for those wishing to learn about our farm and the animals we breed, as well as anyone looking for helpful information on animal husbandry. We have pages devoted to goat health and care where you’ll find how we feed, milk and care for our herd as well as links throughout our website and on our dedicated links page to products and companies we use and love. Enjoy! Because we love our goats and care about their health and the health of the kids we sell our entire herd is tested annually for CL, CAE and Johnes by our herd veterinarian and is ​100% clean. 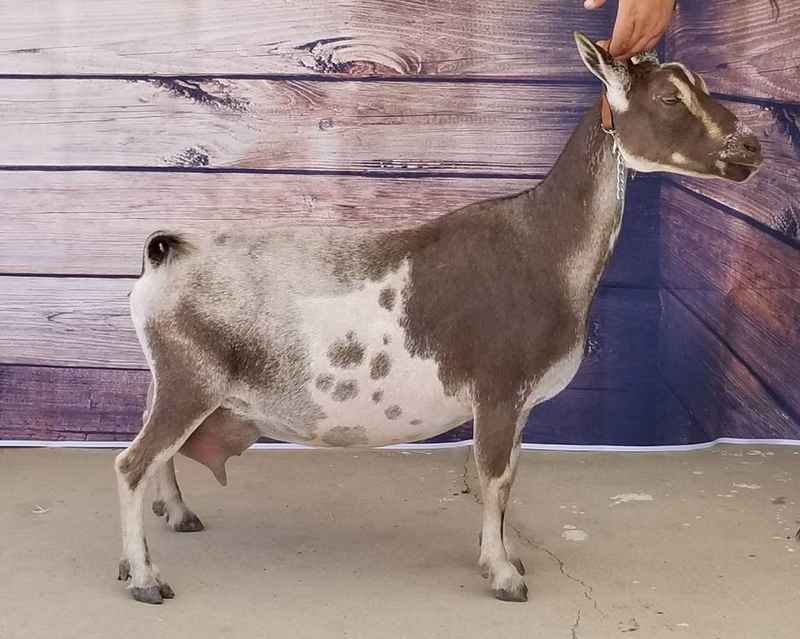 We also test our Mini Nubians for the G6S mutation. Last Test Date Feb 19, 2019. Entire herd clean. Our most current test results can be seen on our testing page. Please go here for an explanation of WHY testing of dairy goats is so important as well as for useful links and resources. We love our adorable little Nigerian Dwarfs and our floppy-eared Mini Nubians! ​Nigerians have the highest butterfat content of any dairy goat, which makes for the most delicious, sweet, creamy milk and is excellent for cheesemaking. Averaging around 75 lbs, they are easy to handle and transport and inexpensive to feed. Mini-Nubians are a cross between Nigerian Dwarfs and full sized Nubians. Their milk is very similar to Nigerian milk, but they usually produce more of it. (Some produce as much as full sized Nubians.) They are just a bit larger than Nigerians, averaging around 100 lbs. They have that adorable and unique Nubian look and personality, but in a smaller size that's more economical to feed and house and easier to handle. Both breeds are very “fuel efficient” little dairy animals, producing more milk per pound of feed than larger dairy goats. 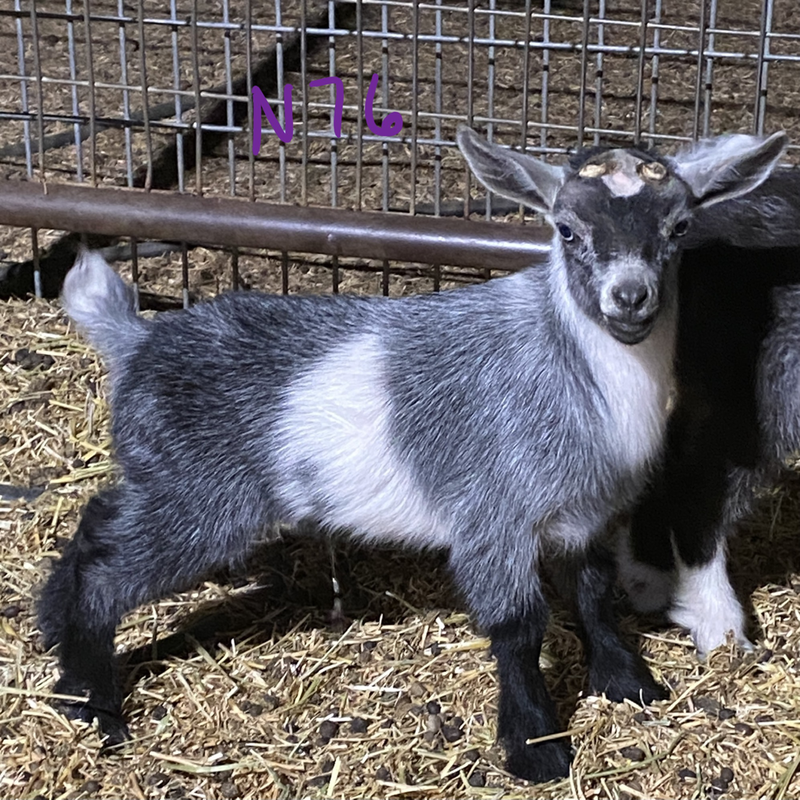 Nigerians and Mini Nubians both come in a wide variety of beautiful colors and coat patterns and either can have brown or blue eyes. Both breeds make great family milk goats, 4H/FFA show projects and wonderful pets! Studies have shown that goats are as intelligent and loving as dogs, too! Contact us to reserve a kid with a non-refundable deposit for our 2019 kidding season. Several kids are already reserved and we plan to retain some so act fast! Please see our sales policy page for info on purchasing an animal from us. Also see our Kidding Barn section for info on how we care for our baby goats and for helpful info for new goat owners. We are also expecting a litter of Maremma Sheepdog puppies in late March. Three puppies already sold so act fast to reserve one of these wonderful LGD’s to protect your herd! ​For helpful info on caring for your goats, Maremmas or other animals and products and businesses we recommend see our Goat Care Info and Useful Links pages. ​The Prancing Pony by Barliman Butterbur." ― from "The Fellowship of the Ring: Being the First Part of The Lord of the Rings"